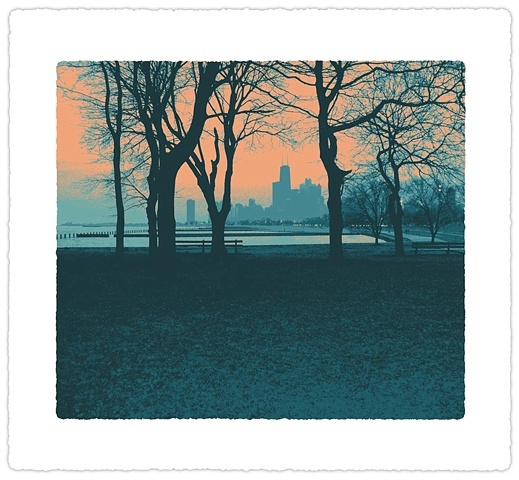 This print is one of two color combination printed as a second edition of Lakefront image. Larger than the first Lakefront print and has a deckled edge on the image itself. Total of 70 prints were made of which 35 was done in this color scheme.